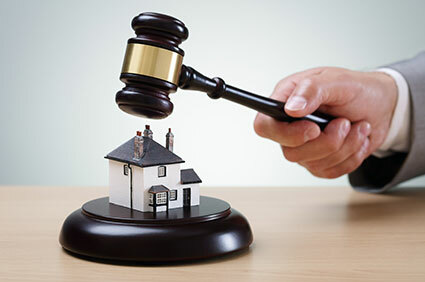 The (odd) run to real estate auctions: 3 reasons to doubt. Indeed, the insiders will have noticed an increase of the participation to real estate auctions in the last 12 months. Probably, the vision of the most farsighted experts of the field is taking place. For some years now, they have worked to bring private citizens to the auctions and to try to equalize the judicial sales to the sales in the free market. The times where auctions were considered a thing for few, and the existence of murky deals behind the curtain was taken for granted. The recent regulatory adjustments (LD 83/2015 and LD 59/2016) did the rest, accelerating the times of the process and proposing more desirable prices for the assets. But is it really all in sloping? It is possible that this is a positive trend in the long run? some weeks ago a realtor told us: “Right now, it makes more sense to sell a property in an auction than putting it in my window”. The “trend” of auctions and the irrational mechanism that characterizes them (casino effect) induces the selling price of some assets to be higher than the selling price on the free market. This phenomenon is not logical nor can it be considered a trend: actions selling implies risks and compromises that physiologically have to reduce a price, compared to free sales. Sooner or later this effect is going to burn out, it is clear. the real estate market has followed, since always and with direct proportionality, the economy of the country. It tows and it is towed. In the last 12 months there were no signals nor evidence of data that anticipated a growth of real estate prices. The salaries have been unaltered and the credit-worthiness per capita has decreased. In this scenario, an increase of the prices has to be considered as merely episodic and connected to the niche market. For these and other related reasons, we maintain that this trend should be interpreted as a relocation of liquidity and not as a long-lasting trend. Our evaluation of the asset will continue to focus on longer and more foreseeable assumptions. Regardless to this, it is still undeniable that the growing attention towards the NPLs market brought more liquidity in this microcosm; on the other hand, the risk is, this way, to create a paradoxical situation where half the market is productive and the other half is in crisis. Let us not be blinded, or our NPLs will become NPLs again!